After taking Pierce the Veil and White Lung out on a headlining run last year, Rise Against have now mapped out a North American tour alongside AFI and Anti-Flag. 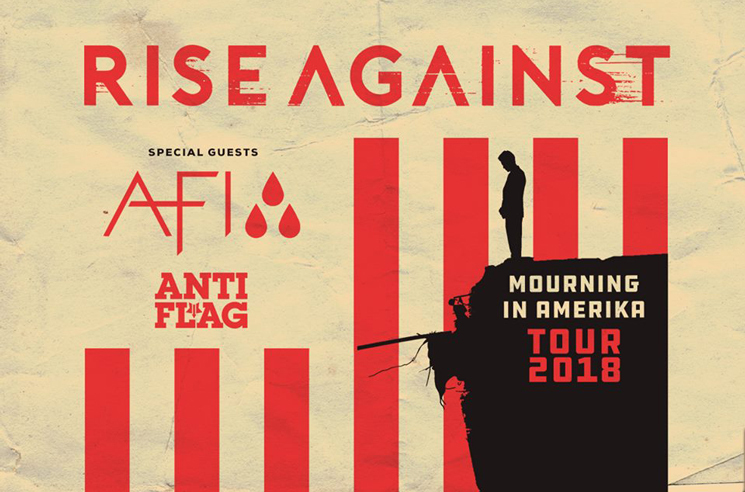 Rise Against's "Mourning in Amerika Tour" will keep the three-band bill on the road from late July until September for a total of 28 dates. They'll kick off the tour with a pair of Canadian shows, playing Montreal's Parc Jean-Drapeau as part of '77 Montreal on July 27 before playing Toronto's Echo Beach on July 28. Additional Canadian dates will bring the bands to Rouyn-Noranda, Calgary, Edmonton and Vancouver.